Meets the nutritional levels established by the AAFCO Dog Food Nutrient Profiles for all life stages. 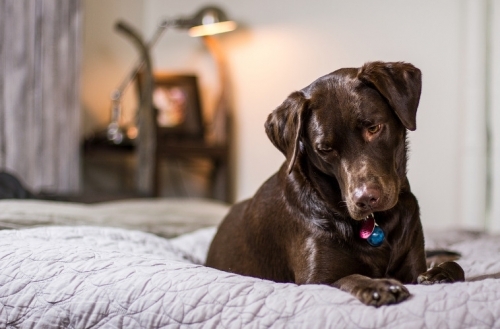 The carnivore nature of our four-legged family members is our guide in developing our all-natural scientifically researched food. Dogs in their natural state almost exclusively consume meat and don’t require a diet containing a high level of carbohydrates. 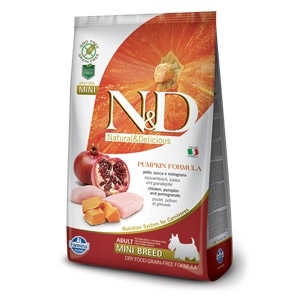 Pursuing this philosophy we developed the innovative line N&D Pumpkin, a Grain-Free food with a high percentage of animal ingredients (over 60%), pumpkin, and vegetables that have beneficial nutritional properties. © 2019 The Pet Set. All rights reserved.